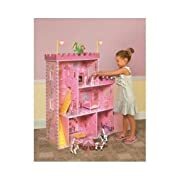 In this section I'm talking about some of the most popular Dollhouses And Accessories that kids are asking for nowadays - These Dollhouses and Accessories Make it Easy to Create Your Dream Home! 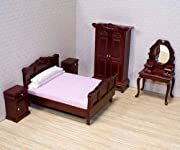 There are many adults who buy dollhouses and accessories for their kids and grand-kids because they missed out on having one when they were a kid. And I'm one of them - lol! So I made my own with all the accessories and trimmings a few years ago... including a garden with farm animals to feed the household... you are never too old to have fun with one, and visitors love them - boys as well as girls. 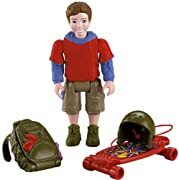 While mine is an antique style, nowadays there are some simple and fun models and brands you can get that are made of brightly colored plastics and other durable materials like wood, which are so easy to clean and tough enough to take kids play, and that's what I'm going to showcase for you here. Kids will just love these! They make wonderful Christmas and birthday gifts, too. 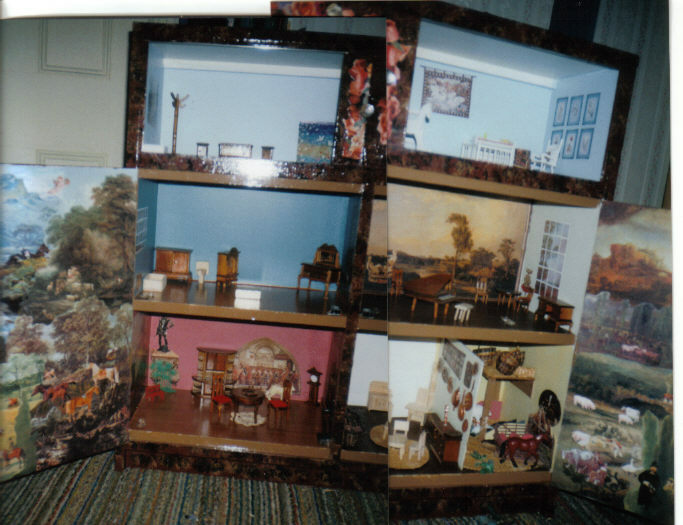 I love it when kids visit my place because they are all fascinated by my own "Dutch cabinet" style of dolls house that I created and decorated with decoupage. Even boys like playing fantasy games with it, maybe because of the gardens and farm animals. Anyway, if you don't feel up to creating your own from scratch, I suggest that you consider looking at some pre-made and pre-furnished ones that might suit you. 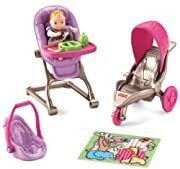 Once you start shopping around online you will soon see that the Loving Family Sweet Sounds Dollhouse range has everything that your kids could want and is also made of durable materials for rough play. 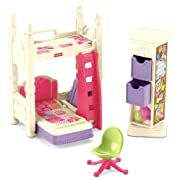 The Loving Family Doll House range are very sturdy and includes models that you can even fold up and can be stored out of the way, which allows space saving in your kids bed room when not playing with it. Its really hard working out where to even start talking about dollhouse accessories! Since there are so many accessories and so many different varieties of styles to cover we will just have to pick a very few to feature here. 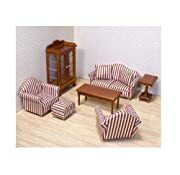 The most obvious and necessary dollhouse accessory is furniture. 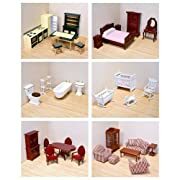 If you have a dollhouse, you must furnish and decorate it - or it's just an empty box, and that's no fun! 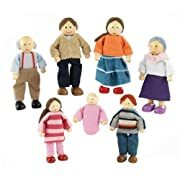 Your family should also include some of these Family Dolls. Include your pets, and all your relatives ... Don't leave anyone out. Especially Grandma and Grandpa! Your home can have a family as big as you want, and you can just keep on adopting as many members as you want - lol! What home would be complete without the family pet? Especially if the kids can't have real pets of their own, this is a great way for them to feel like they still have some loved animals in their lives. Here is the sweetest little puppy for them to adopt, with all the accessories it will ever need in its new home! 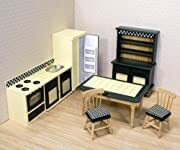 Wooden Dolls Houses are so Classic! Traditionally, dollshouses were made from wood, either as simple log cabins, or very sophisticated mansions for little princesses. 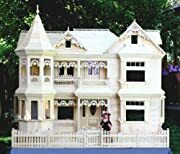 Did you have dollshouses when you were a child? I'm sad to say that I didn't get to have one to play with when I was a kid, so I made my own as an adult. You can even buy cardboard ones nowadays that the kids can color in and decorate on a rainy day, before they get to go and play inside them for the day. Even simple ones can be fun to play with and decorate, without a lot of cost or effort, especially since its usually the kids imaginations that make the house a 'home' after all! So, let me know, are you one of the lucky ones, or did you have to make your own later as an adult? 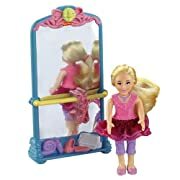 ... just how many of you had one when you were little? Do you have a tip you want to contribute here? Share it!t! 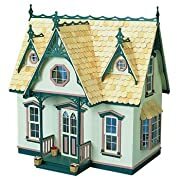 Back to HOME PAGE of this dollshouses and accessories section of the site.